It is quite simple: Samaritan’s Purse. 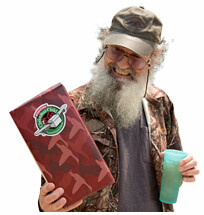 Uncle Si has gotten behind this great program. You can see more about it here. At Carrville Methodist Church, we dropped off our boxes to be collected by Samaritan’s Purse volunteers. We found out that our boxes are likely to head to orphanages in the Ukraine. Samaritan’s Purse is involved in the relief efforts after the tornadoes of Oklahoma, Texas, and Tuscaloosa, Alabama. They were a part of the work following the earthquake in Haiti and the tsunami in Japan. They are at work in the Sudan and the Philippines. While these are all important projects, there are still needs around the world. Children are still in need in ongoing situations on every continents. It is so very simple to get involved. Our family had a great time shopping for the items and filling the boxes. Why don’t you give it a go too? Check out this link to the videos to learn more. ← Ten things I learned this week. Thanks for sharing the sites and the connections to you. You are so welcome Pa. Can not wait to show you around in person. Enjoying your blogs. Pam and I wish you a happy Thanksgiving. Will it be shepherd’s pie? I guess that is approopiate for Christmas. Thanks for staying connected on the blog. We actually have some nice Thanksgiving plans. I am preaching at a service on Thanksgiving Day, then we are connecting with some American friends for the dinner later! Come on over and we will save a seat for you!